My family regularly view videos from Amazon’s Instant Video. We went to rent a movie last night, and the Amazon Video screen said “Updating” and when it was finished, we received an error like that shown below. After a lot of searching on-line, I found a discussion about the topic on Amazon’s Customers Discussions web site. 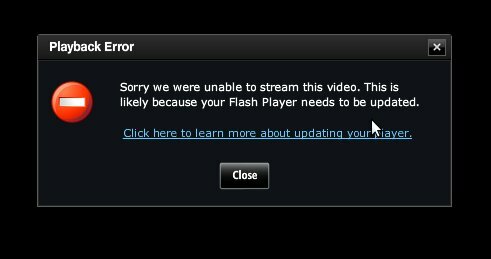 It appears that Amason’s Instant Videos, Flash, and Ubuntu all of a sudden don’t get along. On the discussion page, there seems to be some fixes, mostly for Ubuntu 64 Bit operating systems. I, however, run 32 Bit Ubuntu. Thanks to one particular post by Erik, I found a solution that seems to work on 32 Bit Ubuntu systems. Here is my solution based on Erik’s advice. # Install the required packages. # Remove cached junk from Adobe and Macromedia. # Back these up if you’re not sure what you’re doing. # The Amazon player updates, and video rentals are now playable again. Since I was trying all kinds of stuff, I didn’t really know what made if finally work, so to confirm my findings, I booted up the Alpha of Ubuntu 12.04 in Virtual Box, confirmed that Amazon Instant video choked, and repeated the above procedure. It worked for me. I am running 32 Bit Ubuntu. I hopes this helps someone else!